Thanks for visiting the website of Cedarbaum Orthodontics - a leading visionary in orthodontic care! A beautiful smile is important to your sense of self-confidence and esteem. At Cedarbaum Orthodontics, we enhance your dental health by improving the function and stability of your dentition - all in a friendly and professional atmosphere with a team that enjoys helping you achieve your ideal smile. Orthodontics is about more than esthetics - correcting orthodontic problems can lead to improved chewing, speaking, and overall oral health. Our treatments are designed for patients of all ages, from children in need of early orthodontic intervention to adults who are interested in straightening their smiles and improving their dental health. Dr. Cedarbaum works with you to develop a customized plan for your needs. We address common orthodontic issues with the latest advancements designed to accelerate treatment, and also offer surgical options for more complex problems. In additional to traditional metal and ceramic braces, we proudly offer Invisalign® and Invisalign Teen™ clear aligners - the "braceless alternative" to wearing traditional braces. 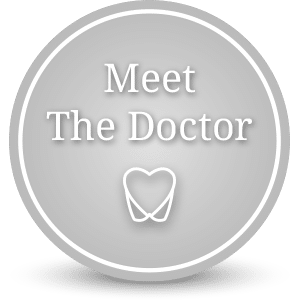 The friendly and welcoming environment created by Dr. Cedarbaum and his team allow you to relax and feel at home while you’re in our office. We carefully coordinate every aspect of your orthodontic treatment - you'll be smiling at how seamless and stress-free the process is! Join the Cedarbaum Orthodontic Family Today! Let's get started exploring the options to give you the lasting smile and healthy bite you deserve. Contact our Flemington office to schedule a complimentary consultation today! Cedarbaum Orthodontics proudly serves Flemington, NJ and the surrounding areas of Clinton, Ringoes, Readington, Stocktown, Frenchtown, Kingwood, Milford, Annandale and Lebanon. We appreciate referrals!